If Mark Zuckerberg is to be believed, 2018 is going to be a year of change for Facebook Mark Zuckerberg Promises to Fix Facebook in 2018 Mark Zuckerberg Promises to Fix Facebook in 2018 Every year, Facebook founder and CEO Mark Zuckerberg takes on a personal challenge. And for 2018, Mark Zuckerberg has promised to fix Facebook. Read More . Fresh from announcing the social network is getting back to basics by favoring friends and family Facebook Focuses Your Feed on Family and Friends Facebook Focuses Your Feed on Family and Friends Facebook is changing the News Feed, focusing on posts from family and friends rather than those from pages and brands. Good news for Facebook, good news for users, and bad news for brands. Read More , Facebook is testing a new feature that could, if rolled out further, bring people back together. While social networking has brought us new ways to connect, it has also divided us. Before the advent of the internet families would sit in front of the TV watching a show together. And they would then invariably share their opinions on it. But that doesn’t really happen these days. Facebook wants to change that, and so it’s currently testing a new feature called Watch Party. Watch Party is a feature designed to bridge the gap between people. At the moment we all watch videos on Facebook in our own time, and then leave comments and reactions after the fact. But Watch Party would allow multiple people to watch videos together and react in realtime. This feature is the result of Facebook noticing how many more interactions live videos inspire than recorded ones. Watch Party would essentially turn recorded videos into live events, with everyone watching the same video at the same time in a group of their choosing. This is all about fostering better relationships. 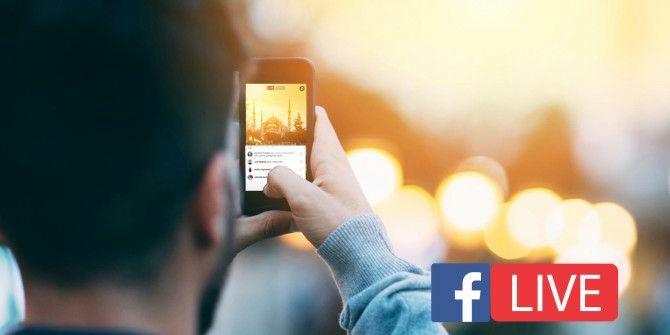 Fidji Simo, vice president of product at Facebook, said, “As we think about video on Facebook, we’re focused on creating experiences that bring people closer together and inspire human connection instead of passive consumption”. Facebook Watch is only currently being tested amongst a small number of groups. Admins of the groups involved can select one or more videos, and the Watch Party will begin. Members can then join the Watch Party, comment on it in realtime, and generally share the experience with others. The idea of watching videos online with other people isn’t new, and there are quite a few different ways to watch Netflix with friends far away 7 Ways to Watch Netflix Together With Friends Far Away 7 Ways to Watch Netflix Together With Friends Far Away Movies and TV shows are more fun when you watch them together with friends. Here are some ways to watch Netflix with friends far away. Read More . Whether it will work on Facebook remains to be seen, but it certainly isn’t a bad idea. That is if Watch Party ever gets a wider rollout. Do you belong to any groups on Facebook? What’s the interest or hobby you all share? Can you see yourself watching a video with the other members of that group? And discussing what’s happening while it plays in the background? Please let us know in the comments below!